What a great fun read this was, and a treat to find a book set in the UK. As a Brit myself brought up in a political, very strongly socialist home I know the UK system fairly well, and this book mirrors what I suspect happens much of the time, where its not doing the deed that’s wrong, its getting caught! We see it all the while, the wife and kids trotted out, platitudes spoken and the impression it was just a minor aberration. His c ock just happened to slip in the wrong direction due to pressures of work, worries about health, family problems….. No-one is too precious to be sacrificed to a politician’s ambition. It always amazes me how they think they are going to get away with it but it happens time and time again. That makes me sound horribly cynical doesn’t it? I wanted to be an MP when I was a teenager, to change things for the good, to make a difference to people’s lives – that or a jockey…in the 70 ‘s careers for girls were still something of an oxymoron, and as there were few female MPs and no female jockeys our careers teacher was pretty sharp with me, told me to be a Nanny or something! Back in the 80’ s there were two TV sit-coms about politics, the very funny Yes (Prime) Minister and The New Statesman, a much more sharp and cynical show. There’s shades of them in this book, with The Party being everything and nothing too great a sacrifice. The characters are very good, feel very real. I adore Emily, and how she’s tried so hard to be the wife Ralph needs, and over time subjugated all her own needs and ambition. That’s really sad, and when we learn more about what happened to her and how she met Ralph, its easier to understand how this confident, competent journalist could compromise her ideals this way. Matt, what a great man, he was so understanding, as time had passed he’d seen where he let Emily down, and really them parting should never had happened, if time and circumstances had been different…but she met Ralph, older, confident and ambitious, in need of a wife as he wanted to move more into politics, and before she knew it almost daughter Tash was about to arrive and they were married. Now they’ve Alfie too and live in a lovely rambling home in the heart of Ralph’s constituency. He seems to spend more and more time in London though, and the plans they’d made for him to balance work and home seem to have been lost. He’s swiftly risen up the pole, now shadow Home Secretary, in no small part due to the work Emily does in the constituency and providing the right family image. I really didn’t like Ralph, found him a selfish individual, one of those married to his career. Nothing was too small or too private to use as political advantage, he never seemed to worry about how others felt, only if it could benefit him. When he gets the chance to stand as PM very suddenly – well, all the discussions he’d promised Emily got pushed aside and I so felt for her. She’s got pushed more and more into a mould that just doesn’t fit her. Then someone from her past comes back, Matt, the guy she was in love with til it all went wrong. She hasn’t realised how much she still feels for him, and its clear he still loves her. He’s a political journalist and shadowing Ralph, who of course thinks its a wonderful opportunity. When some big secrets come out that could scupper his chances at PM Emily has some decisions to make. The kids were great too, just how children are, and felt well written for their age group. Sometimes kids are written as some kind of little adult, and it just doesn’t feel right, but these two are spot on. Nessa, Emily’s friend is a great addition, as is TJ the local party agent. 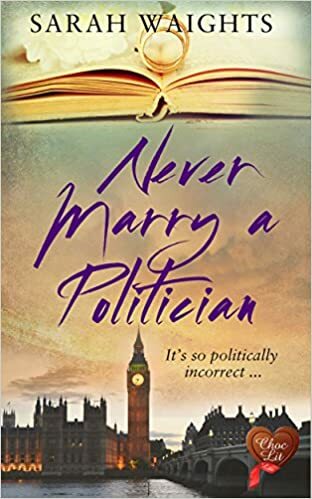 Its a good mix of people, a great story, and one that I could imagine happening only too well – that old “don’t get caught” adage certainly came into play, and once everything is out then the way its spun to present things in a way that is acceptable to the electorate Eurghh!! But so very real. As well as the everyday issues that affect the family, there’s the Matt issue and he was such a great guy, a journalist with integrity, and one who valued Emily for what she was and not just what she could do for him, as Ralph seemed to. Its a great read, one I really enjoyed and has a perfect ending. Stars: five, a fabulous read, very true to life in UK politics.